I recently returned from a four-day preaching festival of young preachers from all over the country. Over those four days, I had the privilege of hearing sermons from many diverse voices and the humble honor of preaching my own sermon. I heard the Word preached from young clergy, seminarians, and everyone in between. Most of the preaching I experienced was very outside of my tradition — preachers moving around the pulpit, arms waving, voices raised in the passion of the moment. I was admittedly jealous of the preachers who had the confidence to forgo a manuscript. However, the diversity of preaching voices that I witnessed helped me to appreciate my own journey to finding my preaching voice. As I was experiencing day-of-nerves in anticipation of preaching my sermon, I realized that I did not need to try to emulate the other sermons I heard. My prayer was that my authentic voice would come through and that the Spirit would move through me to deliver a Good Word. Besides being a naturally shy person, I must explain another source of my nerves. I felt the weight of the pulpit. I felt the weight of every woman who has ached for a place at the pulpit but has been told no on the basis of her gender. I felt the weight of the knowledge that many people today still believe that women do not belong behind the pulpit or in seminary. 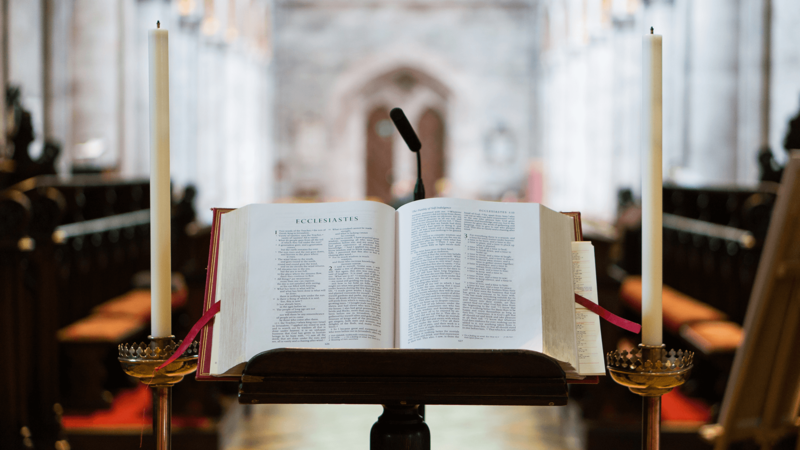 I felt the weight of every question I have received regarding my call: looks of surprise that I am seeking ordination, or that my undergraduate degree in religious studies led me to a Master of Divinity program and not the mission field.